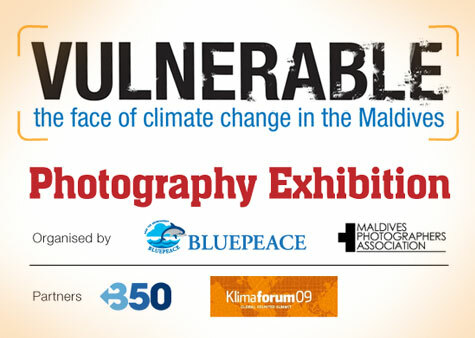 To commemorate the 20th anniversary of Bluepeace — Maldives’ first environmental NGO — and to showcase the documentary talent of Maldivian artists, Bluepeace and the Maldives Photographers Association are calling upon Maldivian photographers to engage in a photo exhibition, Vulnerable. The exhibition will be hosted in December in Copenhagen by Kilmaforum09, an alternative climate summit with representation from civil society organisations, environmental movements and grassroots activists from serveral countries. Klimaforum09 will take place at the time of COP15 conference in Copenhagen.